We provide a high quality bespoke monumental masonary service. 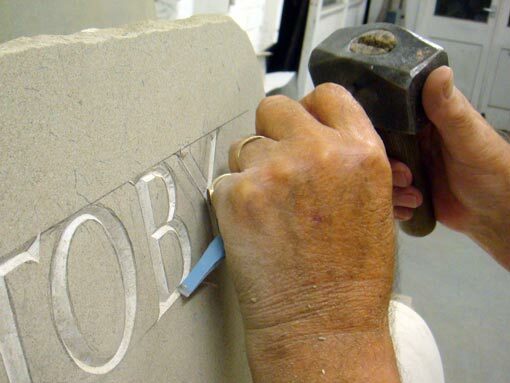 We can expertly craft stone, granite, marble and slate to create a wide range of memorials, as well as fireplaces, work surfaces, ornaments and many more items. Our workshops have the latest computerised technology as well as craftsmen skilled in traditional masonry techniques which have been passed down through the generations. We are registered members of the National Association of Memorial Masons and BRAMM. A F Holman and Son's have been crafting memorials and stonework in King's Lynn for many generations. The present manger Eric Trigg has been running workshop for over 30 years. A F Holman and Son is a part H Brett & Son. The two families of stonemasons have worked side by side for many years. Our full range of services is displayed on H Brett and Son’s website. You are welcome to visit A F Holman and Son's showroom in King's Lynn to discuss your requirments or telephone01553 772842.